I put in around 5 hours of Destiny on release date on the Xbox One and aim to pour in plenty more today and the coming days. However, following the Alpha and Beta, I knew that my initial impressions of the full game would have a huge influence on my overall opinion of it. 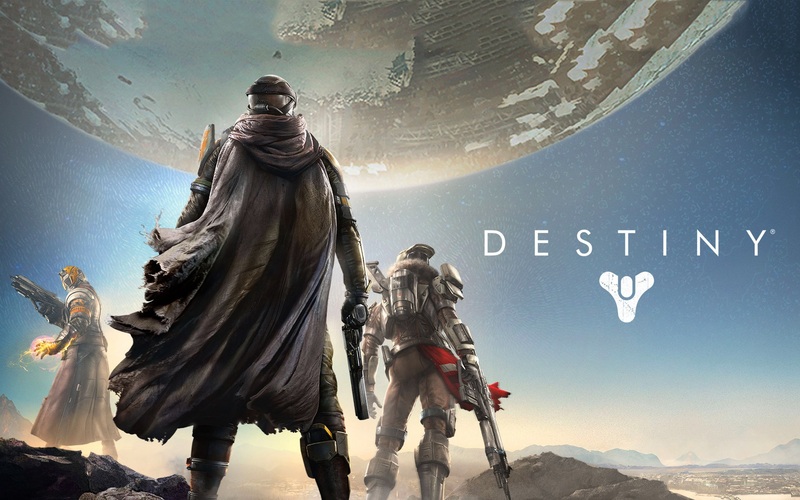 So ahead of the release of the full game’s reviews around the internet and without the risk of prematurely judging the game, hear are my initial impressions of Destiny. Many will be wondering whether the full game materially differs from what we have already seen in Destiny;s Alpha and Beta releases. I never spent much time on the Alpha and less on the Beta but from what I have played the short answer is no. You can pretty much expect what you have already saw and played. The game has a high degree of polish and it appears pretty much bug free. You wouldn’t think you are playing a RPG or MMO as the shooting mechanics are rock solid and the early hours are so linear that you could be forgiven for thinking this is a linear shooter Halo clone. The game straight up looks gorgeous. Once in the game I spent a good amount of time wandering around the Cosmodrome inspecting the textures on the rusted cars, the dusty landscapes, the worn down buildings and generally soaking in the views of old Russia. 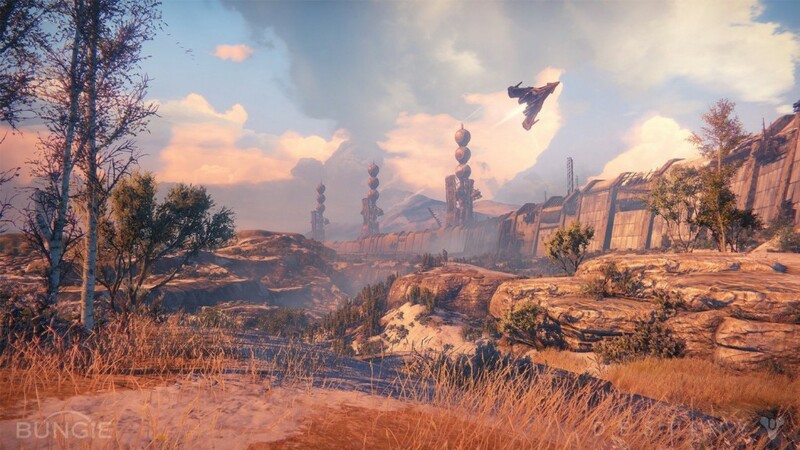 There is no question that Bungie spent a lot of time polishing and perfecting this game which is really impressive when you consider the games rumored size. Coming from Battlefield 4, one noticeable fact is that the game is running at 30fps which I personally feel is hugely disappointing. I would have though next gen consoles would have the resources to support 60fps. That said, once your eyes adjust, I can assure you its not a major issue. 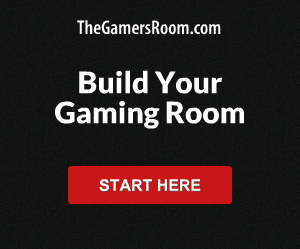 You simply have to adjust and get used to the fewer frames. I read that this decision would dictate the rest of my game and my play style so I did look into this a little on the internet before making my decision. 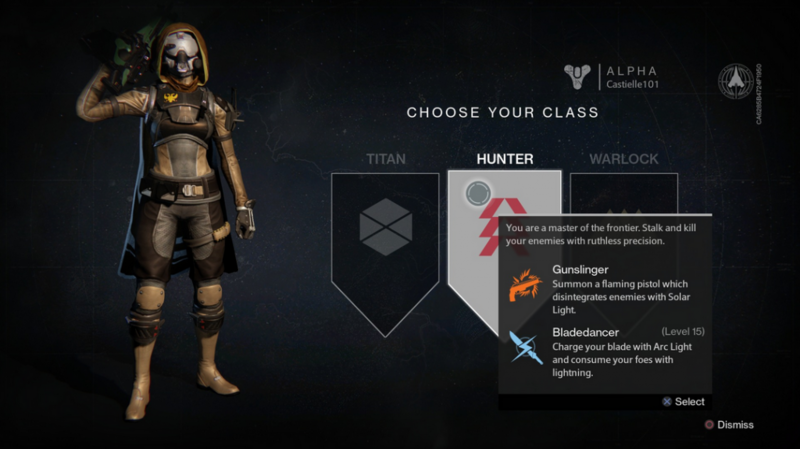 In the end, I went with the Warlock class. for my Guardian. However after doing the first mission before reaching the tower hub area, I decided to create another class to see how much they differed. My second class was the Titan. On both occasions I spent a ridiculous amount of time perfecting my characters facial features and other customizable attributes. After the first few missions, it seemed apparent to me that the differences were not material and ultimately your arsenal and resources will dictate how you approach set pieces more so than your class. I may be doing this a little disservice as that’s my experience thus far. Certainly after the sub classes come into play after reaching level 15, there will be a notable impact on each characters abilities. I wont put in many huge spoilers from the 5 hours I have played but needles to say that a story exists. Its largely a means to an end and nothing that has taken a grip on me. The galaxy is in danger, protect the galaxy from the dark evil, there is a huge mysterious moon sized thing called the traveler etc. etc. As you can tell, I’m not invested just yet, but it has potential. I hope it turns into something meaningful that compliments the great world Bungie has created. Mass Effect did a great job at creating vast amounts of lore and so I hope they can replicate something on this level. 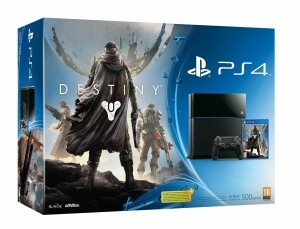 Should I Play Destiny Solo or Co-Op? I ventured my first few hours into this game solo as I know co-op is not always an option with some players for a variety of reasons. Generally speaking the early missions feel that linear that you could progress through the game solo. However as you get to some of the later missions, you soon begin to realize that the enemies becoming bullet sponges and so you need that extra firepower. You can of course grind your way through but I found some of the firefights became a little too repetitive and frustrating when you die because you are either way too outnumbered or a soft mistake punishes you. Particularly, if you take the view that I do, when you shoot someone in the head, you should expect them to die. I considered why enemies have been designed to be like bullet sponges. I figured that this must be down to Destiny being a RPG rather than a linear shooter where users could technically have any one of an abundance of weapons. The game cannot assume you will have a particular weapon and so to some extent its understandable from a gameplay design perspective why the enemies are the way they are. The level design is expanse and so you can generally control firefights by using your surroundings in the open areas. There is plenty of cover and you can add vertically in to the mix to give yourself the edge if you approach the set piece right. Indoors and corridors is a little different and you have to adjust your strategy but, pull out your shotgun and again, take plenty of cover and you can grind your way through solo. Co-op on the other hand is how the game is clearly designed for and should be played. Finding people in your level class and adding them to your team is relatively simple enough though you cannot stop people from going astray at times. I wont go repeat the list f weapons I have come across and leave that for the wiki guides but needless to say that there are a lot of them. All customisable with different ammunition types which gives you a greater degree of control and impact in firefights. Some enemies take greater damage from particular ammo types so you need to consider this when setting up your loadout for each mission. The shooting feels really god and each weapon carries its own weight and character. Generally speaking however you ave your pistols, shotguns, sub machine guns, assault rifles and snipers so something for everyone. I have been using a scout rifle which can do a lot of damage with head shots though frustratingly rarely get one shot kills. The shotgun is also good for close quarters combat. I only got to use the sparrow which is excellent and makes exploration a hoot. These can be upgraded though I have not yet got enough to spend on upgrades just yet. You also have your spaceship and I have come across the Pike – the Fallen land based vehicles which is armed with dual cannons. Exploration just to take in the views is rewarding itself but for the wide expanses there are however, I wish Bungie placed more loot or explorable / intractable items as I feel I am wandering around in an empty un-populated world. Borderlands conversely had more to say about each new location, lots of loot and a certain charm to it. 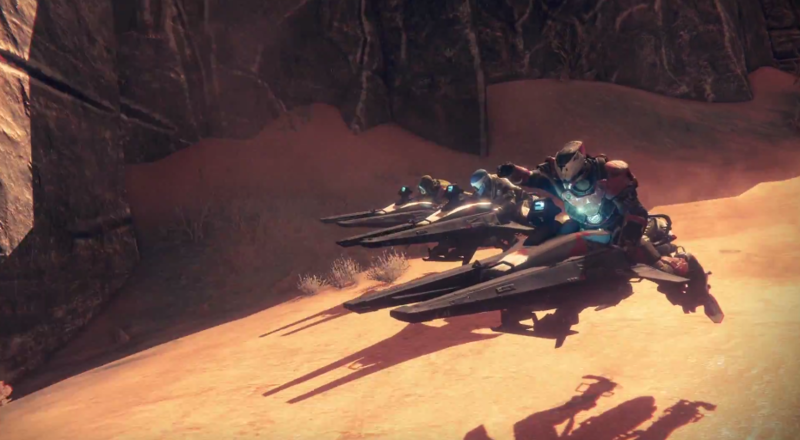 At the moment, Destiny feels like beautiful but artificial playground where even the enemies feel they are out of place there. Its all a little to synthetic and I do not believe I or the enemy belong in the world. My main concern is that each mission tens to be a fetch quest going from A to B and shooting mindlessly in getting there. Sure there is some skill to deploy but if thats all the game is about then I can see myself soon getting bored. Also, I love games like Skyrim and Mass Effect because the worlds are so richly populated with people, there stories and lore around the world. This seems lacking at the moment in Destiny though I am of course only 5 hours in. I would just like to bump into someone and learn something about them, their take on matters around them and the world. My other concern is that the enemies are bullet sponges at times and so I hope that this does not obstruct my progress. I would hate to feel like I am grinding all the time and hope that there is enough artillery to overcome this. 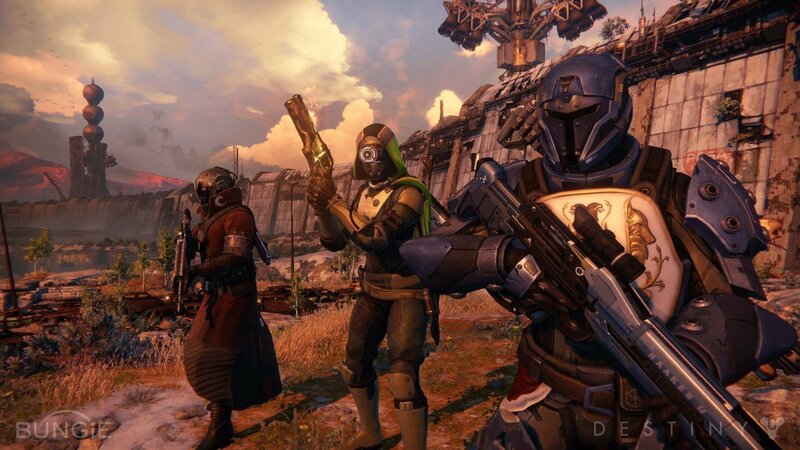 Is Dancing In Destiny as fun as it looks? Yes. Period. I spent way too much time dancing with other players. Its worth me mentioning that I got my mitts on the limited edition version so spent a good 20 minutes whilst the game was installing/updating going through the goodies that come with it. The Arms and Armament Guide is a good read and the star chart and the postcards all breathe quality and make for interesting viewing. 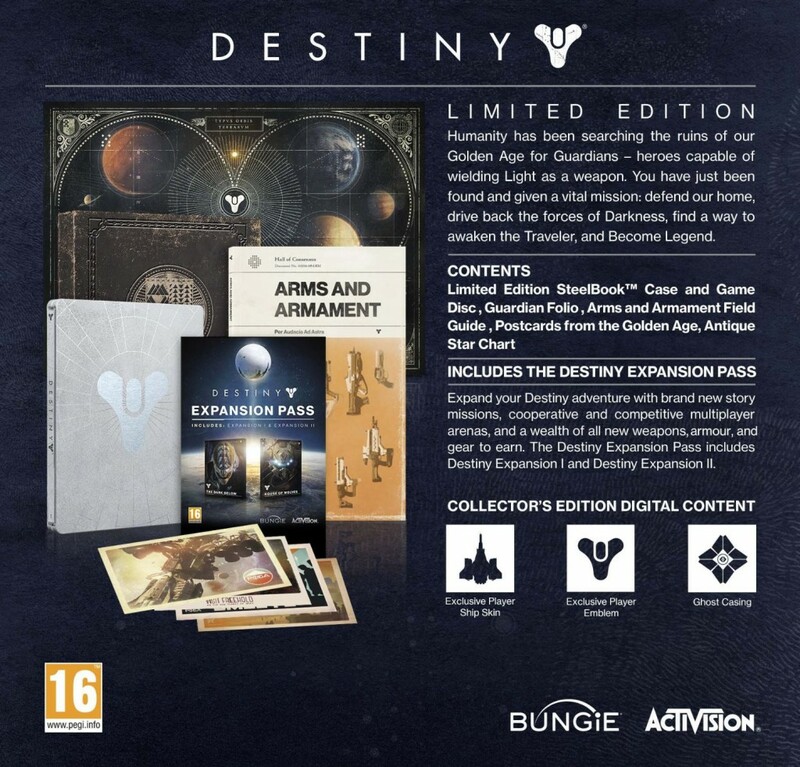 Generally speaking however these are all extras that you can live without and I primarily picked it up simply because it was cheaper than buying the expansion pass seperatley which will set you back another £35/$35. You can check out best prices for the limited edition here and I would definitely recommend it.